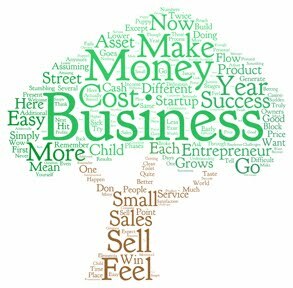 The first feeling in a successful business startup is truly amazing (remember my definition of "successful business startup") - the selling - the making of 'all the money' - the satisfaction of 'doing something good' and making the world a better place (seriously). We feel 'in-the-money' as we are making money for each of the process elements of the product / service. We feel the 'Magic' and want to do it more - the same feelings we get when we win at a casino (except you are betting on yourself) - you can taste winning.!. Welcome, you are now an Entrepreneur. Then the business grows - we have a product that people want and we can sell it. The results though are not quite what we expect - twice the sales do not generate twice the personal income. Additionally, we hit some stumbling blocks - all of a sudden we have employee issues, sick days, differences in throughput and a lower commitment than we ourselves have as owners - don't try to pretend this does not exist but also don't let this consume all your time and focus. Sometimes we think we need to adjust prices to compensate for the additional costs - in reality there are no additional costs - those costs are simply not going to the entrepreneur anymore - you are not getting paid to clean the toilet anymore; someone else is. that it must be higher than cost to be in an ongoing business. Assuming we can get beyond making a lower percentage on sales (maybe even less money), we then run into the next entrepreneurial stumbling block - hiring sales people. They will never be as good as you and they are motivated by money, not your businesses success (normally). This is the point where the entrepreneur must become more of a manager then entrepreneur. This is difficult as the business is the entrepreneur's child. Success here has more to do with building an asset and creating wealth than making more money. What I tell business owners, that are lucky enough to reach this point, is that they will now feel forever broke as they continue to build the asset (the business). This is one of the most difficult things to comprehend in small business. They ask, "when I did one, I made $110K/year; now that I am doing 15 why am I only making $130K/year?" 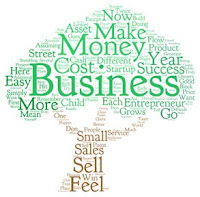 What many entrepreneurs fails to realize is, if they stepped back from the business, they would still make $110K/year and they now have an asset generating cash flow and profits.